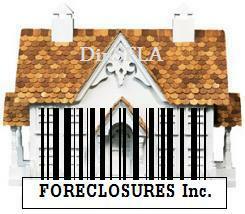 Categorized | djsp enterprises, foreclosure mills, Law Offices Of David J. Stern P.A. the Law Offices of David J. Stern, P.A. (“DJS”) (collectively referred to as the “Company”). Upon consummation of the transaction, Chardan will change its name to DJSP Enterprises, Inc. (“DJSP”), and its stock is expected to continue to trade on NASDAQ under the symbols DJSP, DJSPU, and DJSPW. The closing of the acquisition is subject to customary closing conditions, including approval of the acquisition agreement by holders of a majority of Chardan’s outstanding ordinary shares. Following the closing of the business combination, DJSP will be one of the largest providers of processing services for the mortgage and real estate industries in Florida and one of the largest in the United States. The Company provides a wide range of processing services in connection with mortgages, mortgage defaults, title searches and abstracts, REO (bank-owned) properties, loan modifications, title insurance, loss mitigation, bankruptcy, related litigation and other services. DJS’s clients include all of the top 10 and 17 of the top 20 mortgage servicers in the United States, many of which have been customers of DJS for more than 10 years. The Company has approximately 1000 employees and is headquartered in Plantation, Florida, with additional operations in Louisville, Kentucky and San Juan, Puerto Rico. In addition, the Company’s U.S. operations are supported by a scalable, low-cost back office operation in Manila, the Philippines that provides data entry and document preparation support at a low cost. The Company has experienced rapid growth over the past four years, increasing revenues from approximately $40 million in 2006 to approximately $199 million in 2008, while increasing net income, on a pro forma basis, for the same two periods from approximately $7 million to approximately $39 million. The Company had revenues of approximately $117 million for the 6 months ended June 30, 2009 and an adjusted pro forma net income for that period of $22 million, signaling continued growth. DJSP’s principal market, Florida, currently ranks second among the 50 states in the number of mortgage loan foreclosures according to September 2009 data from the Mortgage Bankers Association (“MBA”). According to RealtyTrac, 8 of the top 25 U.S. metropolitan areas ranked by foreclosure rates in the second quarter of 2009 were in Florida. “I am very excited about becoming the CEO of a NASDAQ-listed company. This will enable us to leverage our well-developed platform and decade-long experience to capitalize on the increasing business opportunities we have at hand. ….Lets investigate some more. To Be CONTINUED. I have the largest foreclosure mill in Wi. doing the same as Stern’s Office. I can not get any reaction out of anyone. Any suggestions?